Let this be the start of many good things to come. For far too long, Aston Martin suffered from financial problems that often times put its future into doubt. But things are different today, and the news will hopefully only get even better. The UK carmaker has just announced its first quarter results which, due to strong sales of its new DB11, have more than doubled revenue from $120 million (92.6 million GBP) to $244 million (188.3 million GBP). Pre-tax profits came in at $7.64 million (5.9 million GBP), compared to last year’s losses of $38.5 million (29.7 million GBP). What also helped Aston Martin’s early 2017 success was strong sales in both the UK and China. Last year, Aston Martin sold only 3,687 units, and the plan is to boost that figure by 30 percent before year’s end. Aston Martin making a profit is a really big deal, mainly because it’s suffered annual losses for the past six years. Heck, it’s even gone bankrupt a total of seven times since its founding. 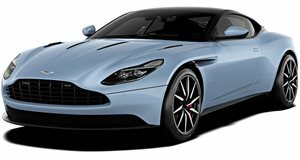 In addition to the new DB11, Aston Martin launched its AMR line of high performance variants of existing models, as well as some special edition models, like the Red Bull Vantage S Racing Edition. We also just reported that Aston Martin is even considering an IPO sometime next year. Dr. Andy Palmer, President and CEO of Aston Martin, stated that "The group has made a strong start to the year. We are delivering on our 'Second Century' transformation program and building sustainable profitability. 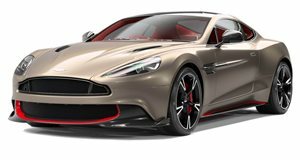 Forthcoming models including the new Vantage and Vanquish will expand on our recent growth, underpinned by the financial resources and operational discipline of a true British success story in luxury car production."